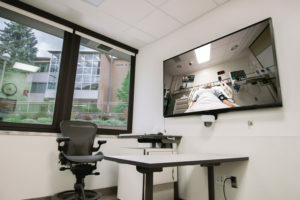 A Simulation Center is a dedicated area within a healthcare education building, medical center or training facility which is devoted to medical simulation. 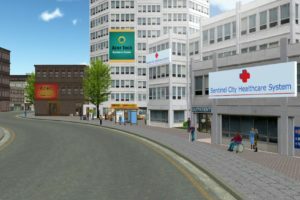 Healthcare organizations simulate care activities at these centers which may include some or all of the following: use of life like manikins with varying levels of complexity (human patient simulation), virtual reality computerized animations, specialized trainers for repeated practice of medical interventions (task trainers) and actors trained to behave and respond as patients (standardized patients). In Europe these educational facilities are called Simulation Centres. 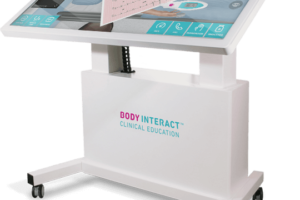 All of these educational methodologies are designed to instruct doctors, nurses and other healthcare practitioners through a process of immersive learning in which the learners respond to various patient conditions and then reflect upon their own responses making changes as needed (debriefing). Nursing simulation, Surgical Simulation, and Healthcare simulation have become widespread in the healthcare field and hence the huge increase in the number of simulation centers. 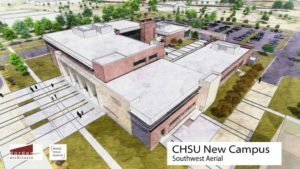 Simulation Centers vary in size depending on the educational goals of the particular institution housing the center and the budget for the construction, operation and staffing of the center. 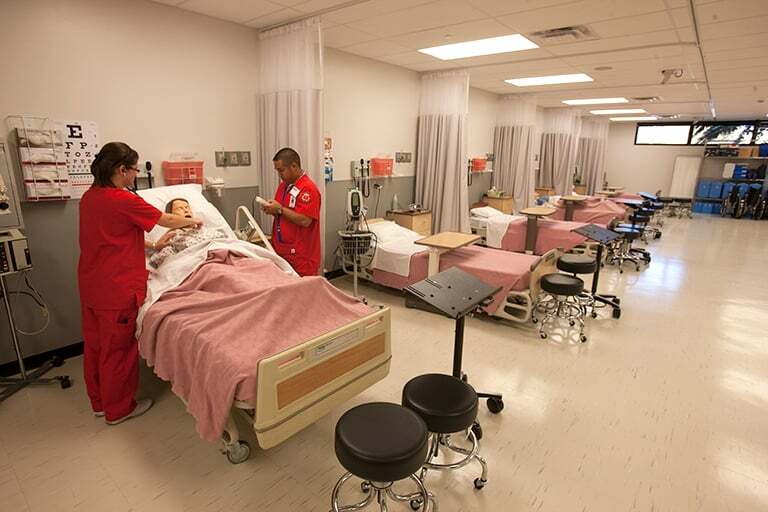 Typically, a simulation center will have a simulation room housing at least one manikin, an observation room which may be remote but where learners not involved in the simulation can observe the proceedings and a debriefing room where the activities are discussed. In many medical simulation training centers, the observation room serves as the debriefing room. In addition, there is usually a separate control room where the simulation technician sits. This is the person dubbed a Simulation Technology Specialist who remotely controls the manikin, such as the Laerdal SimMan3G, and who is responsible for setting up all the equipment and applying any special effects medical makeup called Moulage. In addition, a clinical educator will be present in the control room. 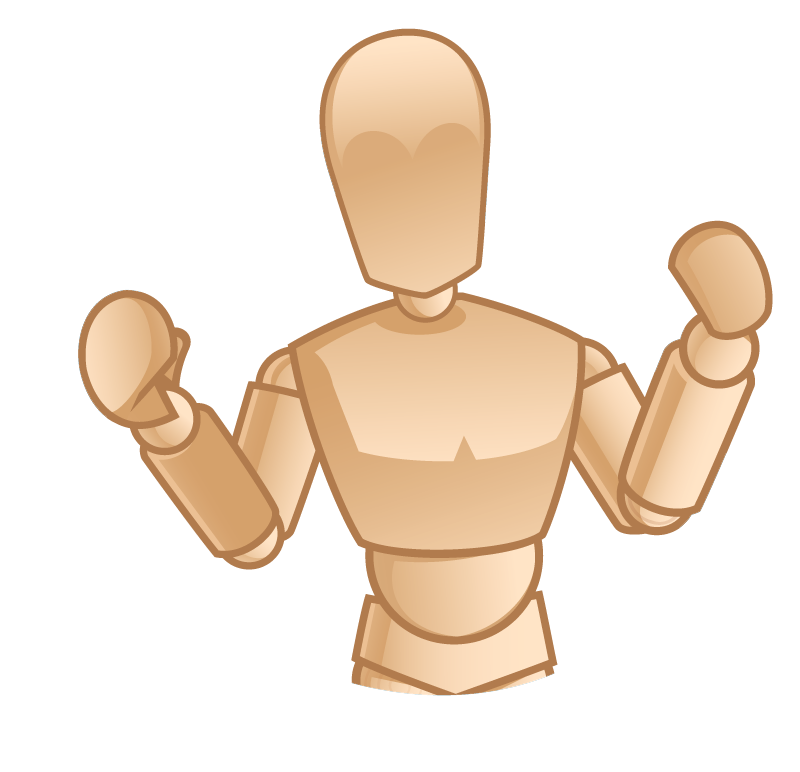 The educator, who often speaks the voice of the manikin controls the physiological and spoken responses of the manikin usually in response to the interventions of the learners within the sim lab. 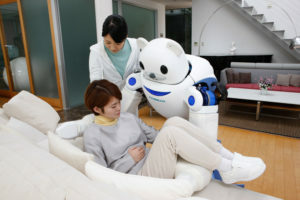 The above set up would be typical for a small simulation center. 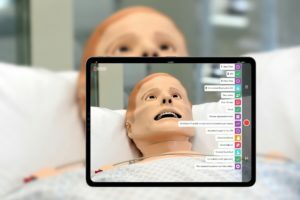 HealthySimulation.com is dedicated to providing the latest Simulation Center news and resources from around the world. To follow along, sign up for our free simulation center email newsletter, follow @HealthySim on Twitter and @HealthySim on Facebook, or join our HealthySim LinkedIn Group! Now imagine a large scale healthcare simulation center with multiple sim labs, control rooms and debriefing. 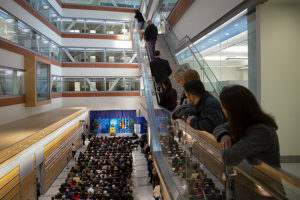 Add in patient examination rooms with standardized patients, rooms full of task trainers, banks of computers and conference facilities and the simulation center could easily occupy thousands of square feet. These simulation centers cost millions of dollars to build and operate and are only found in large medical centers and universities. Funding for simulation centers comes from donations, grants and university/medical center funding. Some simulation centers generate funds by renting out their spaces to other institutions or offering courses for which they charge a fee. Building a simulation center involves a huge amount of planning. All the stakeholders come together and have input into the construction. The technical logistics and equipment are complex. 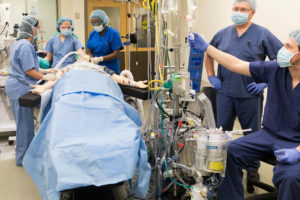 Some simulation centers have simulation laboratories that exactly mimic an operating room, a delivery room, an emergency department, a medical surgical floor room, an ICU room etc. Experts from medical specialties and educators need to have input into the planning phase of the construction. Once the construction is complete, funds will be needed for ongoing maintenance, repair and replacement of equipment as it ages. In addition, qualified staff will be needed to administer the simulation program and schedule. Simulation technicians are necessary to operate and maintain the complex equipment and educators are needed to run and debrief the simulations. Staff are needed to train and manage programs for medical students and advanced practice nurses that use Standardized Patients. Technical staff at a Simulation Center will manage A/V Systems, Virtual Reality computers, surgical simulators and various other technology-based systems. In a few simulation centers, new medical products like those from CAE Healthcare or Gaumard are tested, new surgeries are practiced and new protocols for medical procedures are developed. These rather specialized activities add another layer of complexity to simulation centers.  Click Here to Connect to Leading Healthcare Simulation Vendors! Simulation Centers provide opportunities for healthcare practitioners and students at every level to develop their clinical skills and judgment. 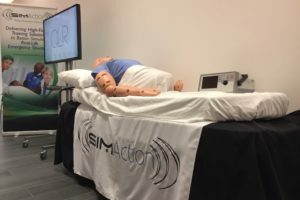 Accreditation is possible from groups like SSiH, ASPiH, and SESAM to name a few which you can learn more about by attending simulation conferences. 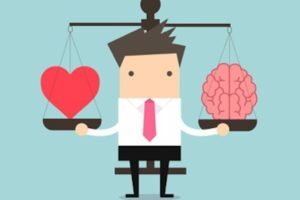 Ultimately this leads to better patient outcomes and safer medical interventions. 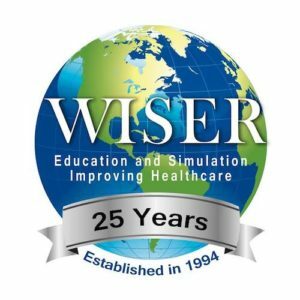 UPMC’s WISER Simulation Center Celebrates 25 Years of Service! Is This The Most Beautiful Healthcare Simulation Center in the World?